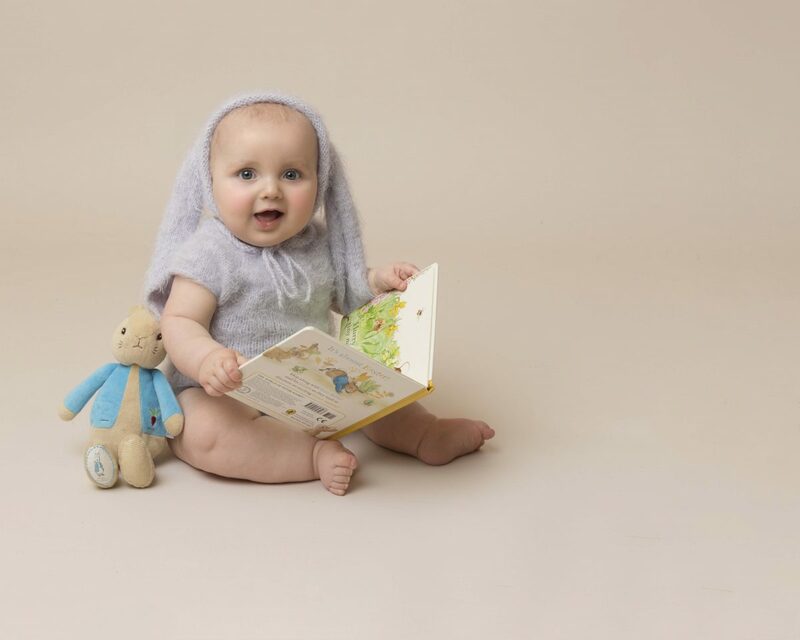 Enjoy an interactive baby photo session at Derya Vicars Photography Wirral Photo Studio. Get involved in the session, make your bundle of joy laugh and giggle during the cutest stage of their life. 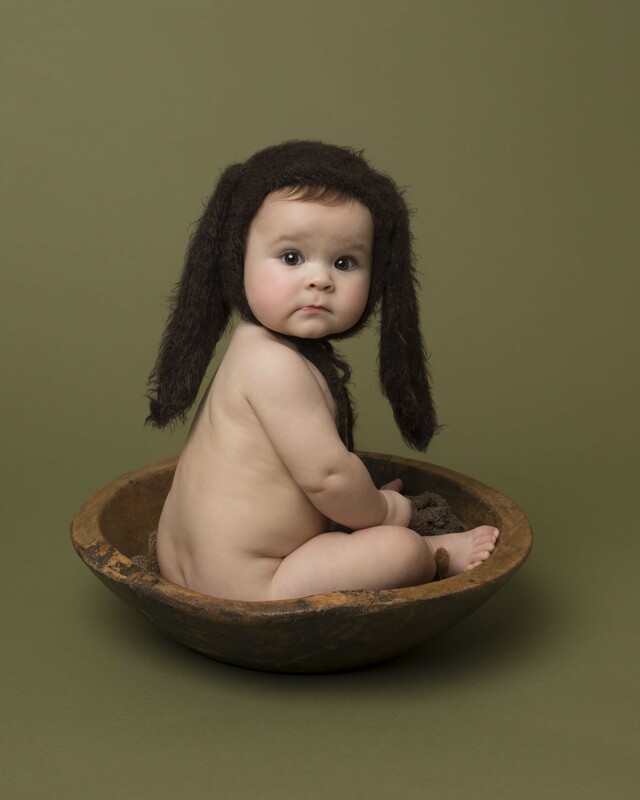 Below you’ll see some gorgeous examples of our work; can you spot which image won a Bronze Award from The Guild of Newborn and Baby Photographers? Also, on this page you’ll find our handy quick question section which should answer your queries. Feel free to use the Contact Form to get in touch with us at the Studio – why not organise a visit and see our Wirral Studio before you book. 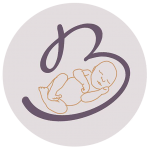 While we offer a Bump to Baby product you may have missed the opportunity to have a Maternity or a Newborn session. With our separate Sitter Session your 6 – 12 month old baby should now be able to sit unaided. At this stage of their development they are so much more interactive and we capture these special moments in our Hoylake Photo Studio. What are the benefits of having a sitter session? Very simply, your baby is the most interactive. 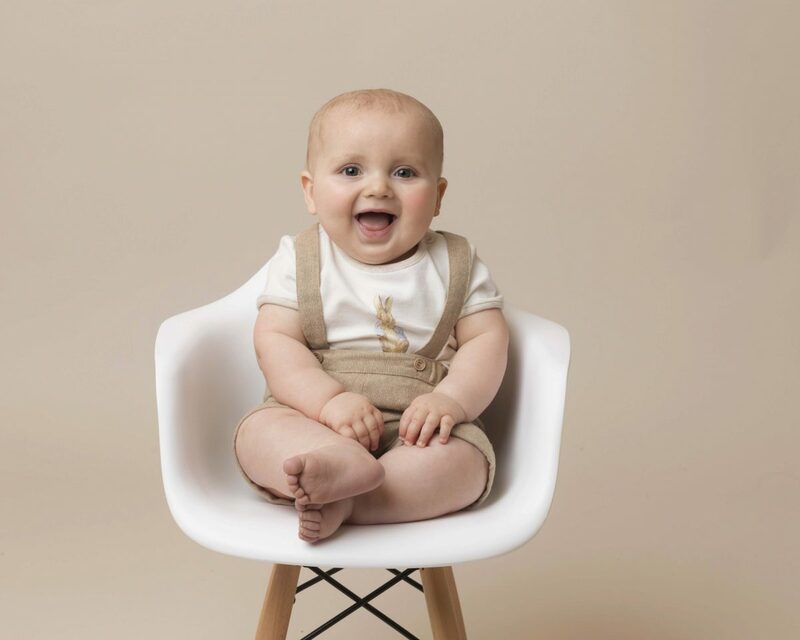 Gone are the days of long sleeps, numerous feeding sessions, cooing and smirking; your baby is now wanting to explore the World around them by rolling around on the tummies, stretching out their arms and hands, and sticking objects in their mouths. Your baby isn’t worried about strangers, in fact they’ll be wondering who this woman is holding a camera! So while they’re looking you’ll see their curiosity and great engagement with the camera. They can’t run anywhere, there’s no where to hide, so we have more opportunities to interact with them in a small space while they are sitting or rolling around. Will there be balloons and cake? There is no cake or balloons, this is a lovely portrait session capturing their features, their looks, their body shapes; those little rolls of baby fat before they grow up. We do offer a Cake Smash Session which is ideal for your little one’s first birthday milestone. 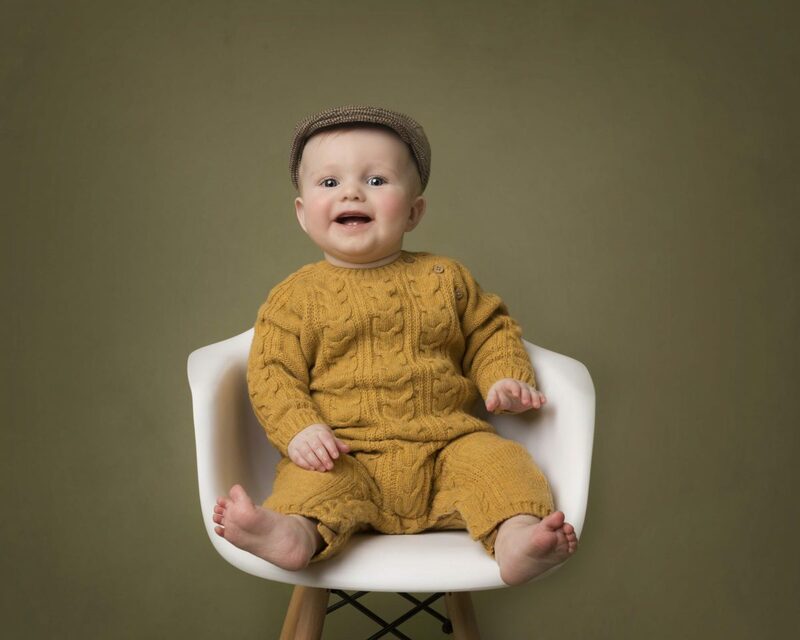 This session is all about our little model. Sitting unaided for an hour is like asking your child not to touch anything – it’s never going to happen. We don’t expect them to sit still, at any rate sitting unaided is hard work; they’re using lots of muscles which they won’t be used to working out. You, your partner, a grandparent will not be sitting down; that’s what the newborn session is for. You’ll be there to be on hand to watch out for your little one heading for a tumble flop, to make them smile and laugh, to squeak a toy, tickle them, call them over or even to get them to pull a silly face. After your hardwork, feel free to sit and have a coffee and a chat before heading off. We’ll get to work editing pictures for your Free In-Person Gallery Viewing Session. During these Sitter Session we do use props but they are in the form of simple toys, teddy bears and baby seats. If your little one has a teddy bear since birth or something of sentimental value please bring to the studio. They may have a favourite toy they always reach out for; this is great to tease them with and get some lovely interaction and the joy in their eyes will melt your heart. With simple props you won’t get distracted from the model’s looks, features and expressions. Can I sing during the session? Why not! We all love a good sing along, don’t we? Anything that incites a reaction or movement of your little one will help us capture special moments during the session. All we ask is that you don’t take photos on your phone; this can actually stop us from getting the image we want as phones are a distraction at any age in any session.